Known as a melting pot of international culture and cuisine, New York is every foodie’s dream destination. During my first and last trip to New York eight years prior, I got to indulge in local dining treasures, but was unfortunately unable to document any of it; so when I finally returned to this dining mecca earlier this year, I ensured to take note of all the restaurants and cafes I would highly-recommend. 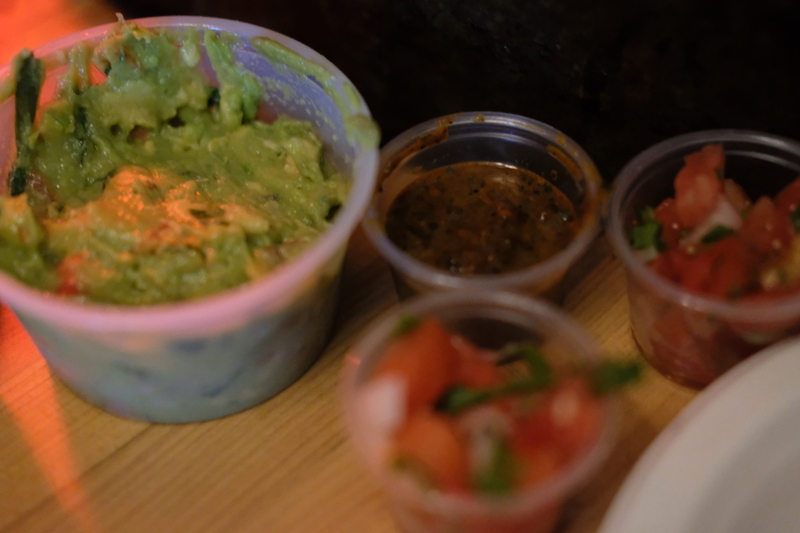 In this regard, I’ll be listing down my dining favorites from this year’s trip in no particular order, but I will categorize them accordingly for proper viewing. Dubbed as the best city in the world for pizza, New York truly is a pizza heaven, as in my opinion, it even beats Rome by a million miles. So if you haven’t tried one of the city’s local restaurants specializing in pizza, then you’re missing out on the true New York experience. Here are my top 3 choices that you shouldn’t miss out on while in the city. 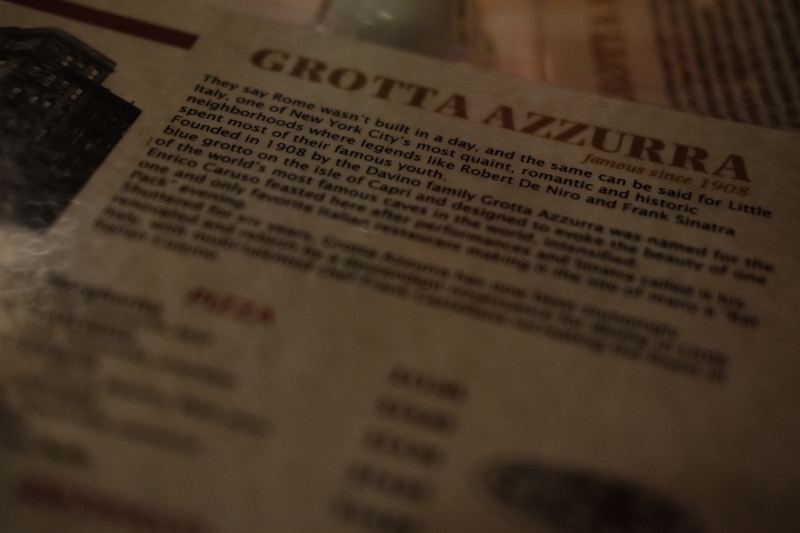 On my first night back in the Big Apple, we chanced upon Grotta Azzurra while we were in Little Italy waiting for a friend from Canada, who we later ended up not meeting up with that night – but that’s for another story. It was a cold, snowy winter’s night, and though it was challenging waiting out in the cold for our friend for more than half an hour, we were happy to have been at the right place at the right time – for pizza. Right where we were waiting, where the Littly Italy sign used to be, was this quaint restaurant that serves one of the best pizzas I’ve tried to date! Grotta Azzurra is also so generous with the size of their dishes, serving it with an abundance of cheese; and a whole pizza shouldn’t cost you more than twenty bucks! 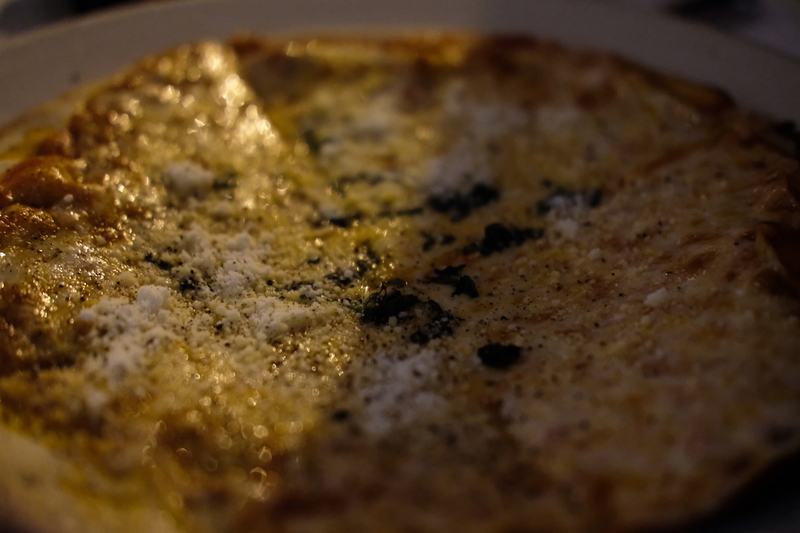 They have pasta dishes as well that we only saw from afar but looked incredible. We were afraid of over-ordering like we usually do, so we decided to just stick to one pizza each for us. Their cocktails are great as well, but be wary of the fact that one drink costs the same as an order of a whole pizza. Nevertheless, everything in Grotta Azzurra is worth every cent! 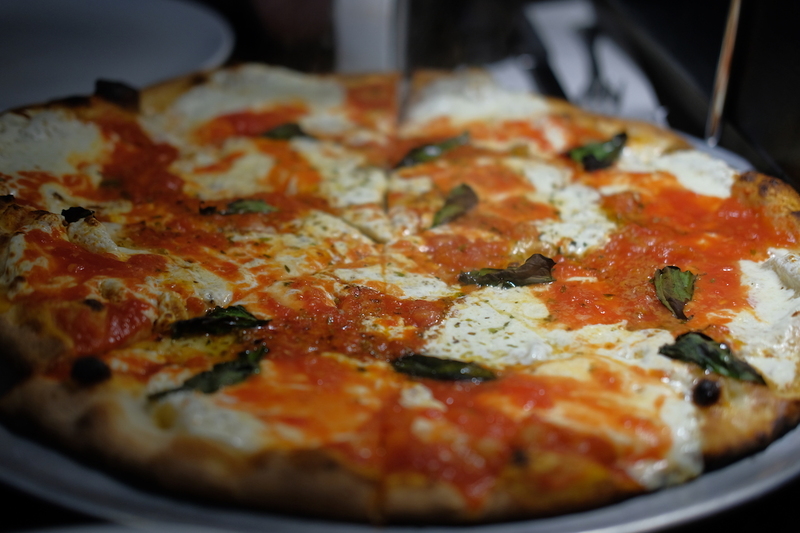 Going further away from Manhattan, Brooklyn definitely has some of the world’s most renowned pizzerias with one of them being Grimaldi’s, established in 1990. With four other branches in Manhattan and Queens, I still highly suggest you go to its roots – all the way to the borough of Brooklyn. The first time I heard of Grimaldi’s was on Gossip Girl, which I, being a big fan of, knew I had to try this highly-acclaimed pizzeria. And finally, in 2010, I dined in their original branch, but found out earlier this year that they moved to a bigger location two doors down. When we ventured out of Manhattan to Brooklyn earlier this year, we initially had the intent to go to Grimaldi’s, but were then faced with dilemma: there was a “newcomer” in town (and I put quotes, as they opened in 2012 – some time back, but not as far back as when Grimaldi’s first opened), and we had to make a call: Grimaldi’s or Juliana’s. With lines for both restaurants building-up half an hour before they were scheduled to open, despite it being a cold winter weekday, we decided to go with Juliana’s, as I had already tried Grimaldi’s previously, and thought I ought to give the newcomer a chance. 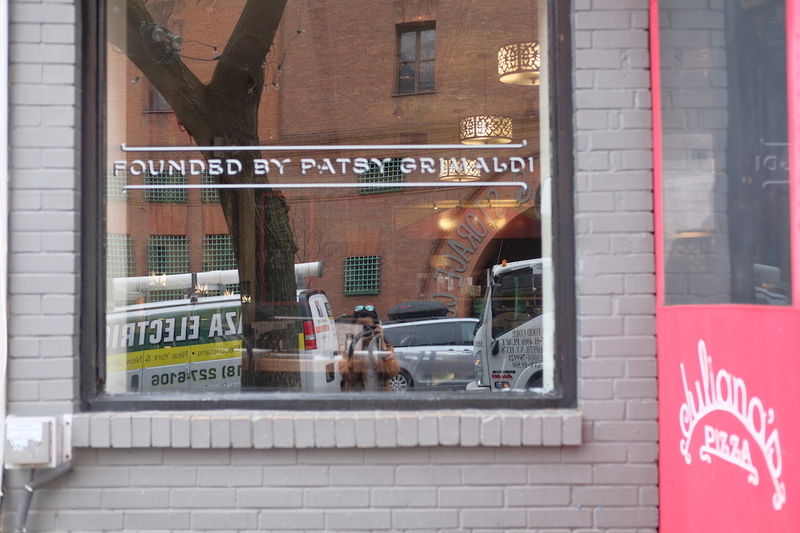 And that was when I learned that Juliana’s was actually opened by the original owner of Grimaldi’s, Patsy Grimaldi, who later sold the Grimaldi’s brand to another proprietor. When Grimaldi’s vacated its original location, Juliana’s entered the scene and automatically got into the spotlight; thus, starting one of New York’s most famous pizza wars. 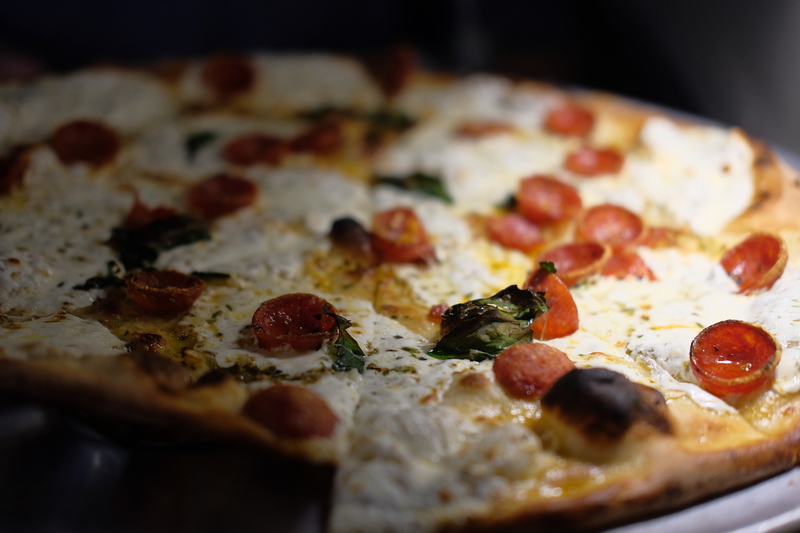 True enough, Juliana’s did live up to the Grimaldi’s name with every bite making you wish every pizza would be just as good. 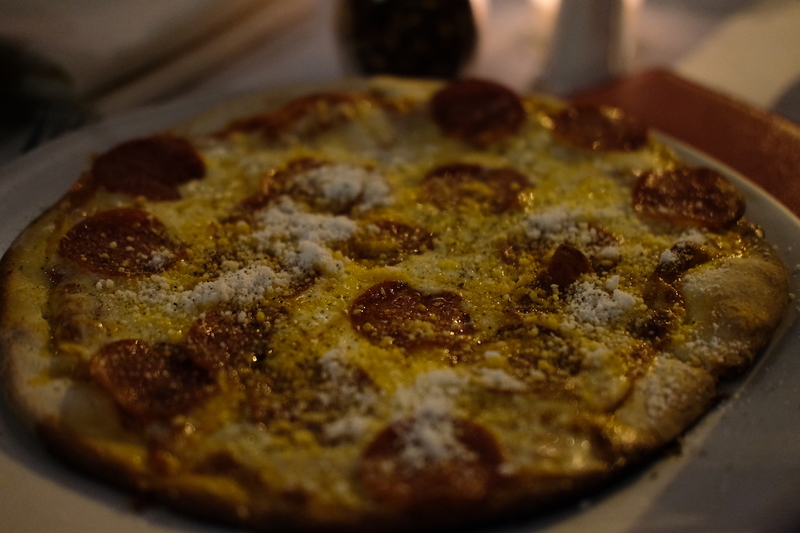 It feels lighter compared to the pizzas I’m used to back home, which is a good thing, and is perfect to the crisp; the dough is handcrafted, making this thin crust coal brick-oven pizza definitely one of the best there is out there. A note: a small pizza could easily be shared by two. Don’t make the mistake we did, as we ordered one “small” pizza each, and we ended up crawling through our last five slices – no regrets though; but really, for a moment there, we forgot we were in the States, where servings are extra large. Our server had already nudged some doubt on us, when he asked us if we were sure about ordering two pizzas for just two people. Being the usual over-ordering pigs that we are, we still went with two, which we did devour; but left us full for the rest of the day. Though it would be difficult to compare the two being that I tried Grimaldi’s eight years back – I still can’t believe it’s been that long – I highly suggest you don’t miss out on both! 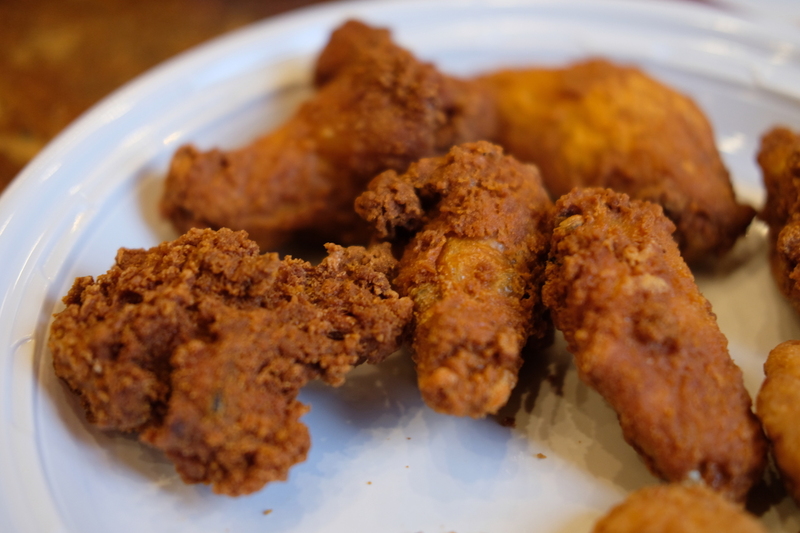 Lately, I’ve had this obsession with chicken wings; and during the last leg of this year’s trip to the States, that was the first thing I looked for when we arrived back in New York after coming from Washington DC. Right around the corner of Nylo Hotel, where we stayed during this leg, we chanced upon a branch of Chirping Chicken, an incredibly affordable treat that’ll leave you satisfied by the end of the meal. 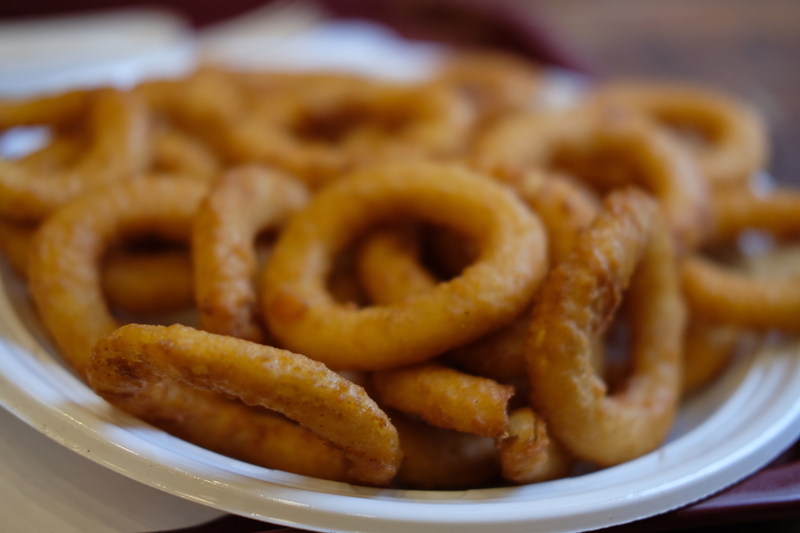 Chicken wings & onion rings: definitely an American deep-fried combo that I’ll always favor – regardless of how unhealthy it can be, and definitely worth the calories. Note that they have five other branches scattered around the city, so you don’t have to travel all the way to the Upper West Side if you’re far from it. 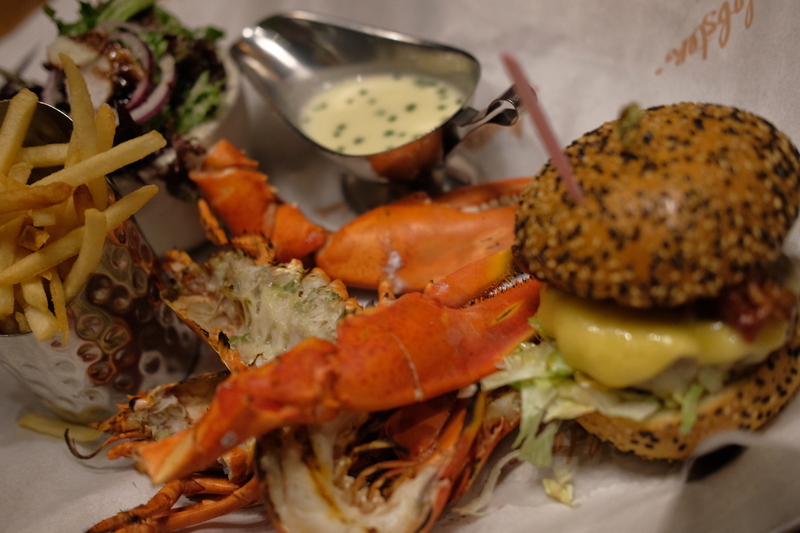 Craving for burgers, and want to pair lobster with it? I know, it’s a combo I never would have thought of either, but thanks to my cousin based in New York who took us out for dinner, we got to try Burger & Lobster in the Flatiron District. 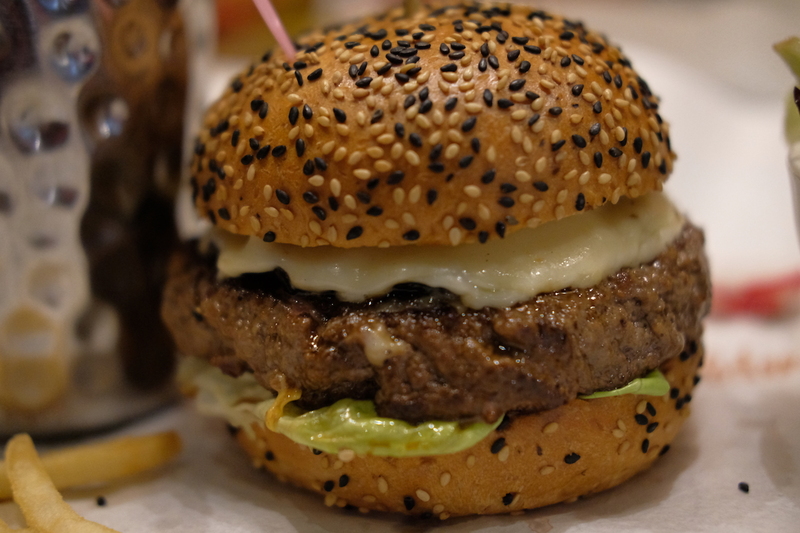 Their burgers range from US$20-25 (without tax), and their burger & lobster combos from US$35 (without tax). 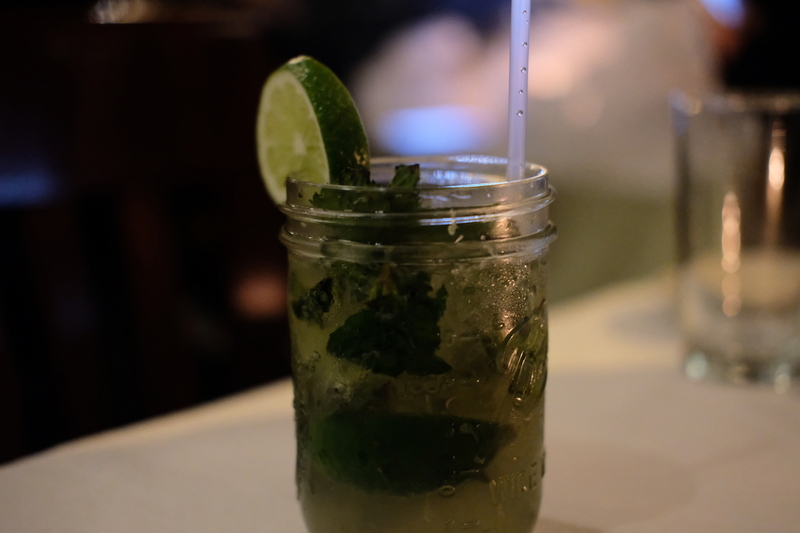 With great ambiance and good food, this restaurant chain is a must-try when in New York. 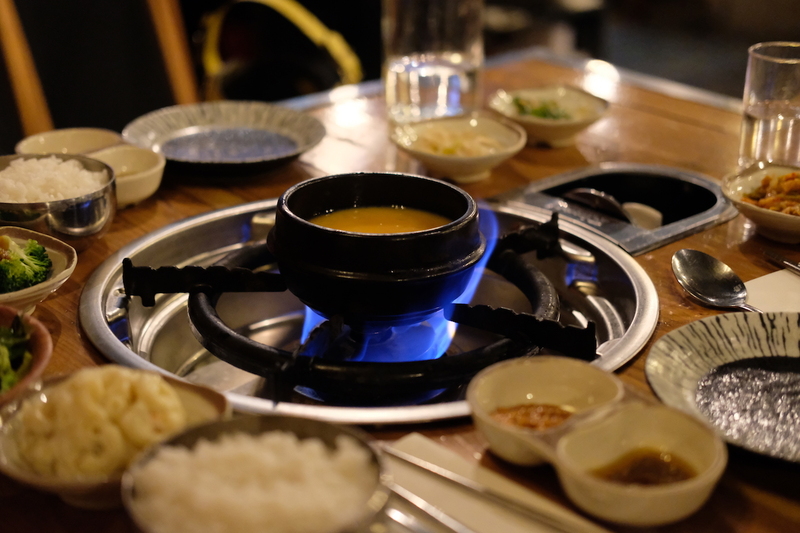 The Korean and Japanese Barbecue craze has extended over to the city that never sleeps, and luckily, both restaurants we tried were of great quality and had a fantastic ambiance. 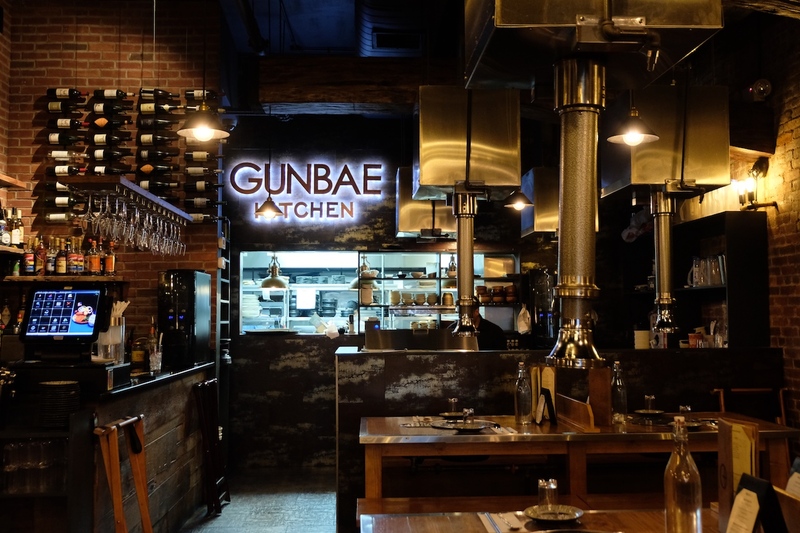 Tucked in the middle of Tribeca, New York is this Korean Barbecue gem by the name of Gunbae Tribeca. And again, this was a restaurant we chanced upon while walking from Westfield World Trade Center (located within a ten minute walk from Gunbae) to the High Line. 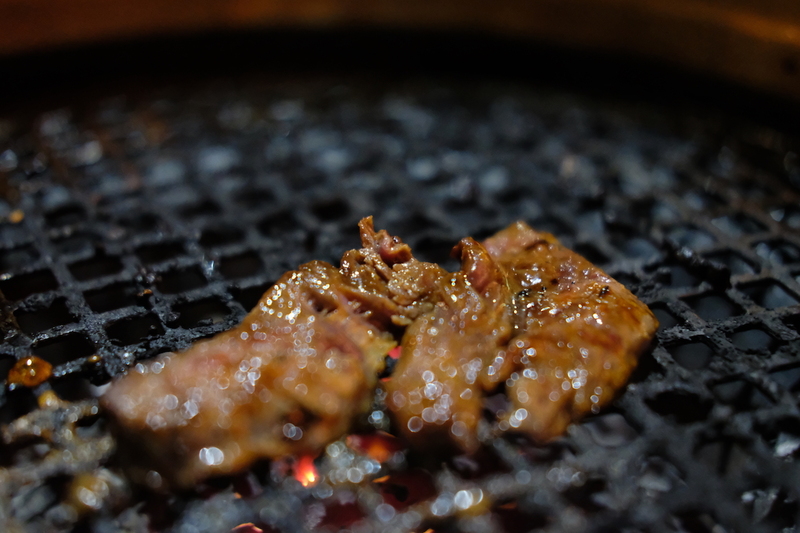 Starters are free and unlimited, and served in abundance, with its meat dishes living up to the quality you’d get had you been in South Korea. You can have the option to cook the meat on the grills set up on each table or have their “grill masters” cook it for you for a minimal extra fee. 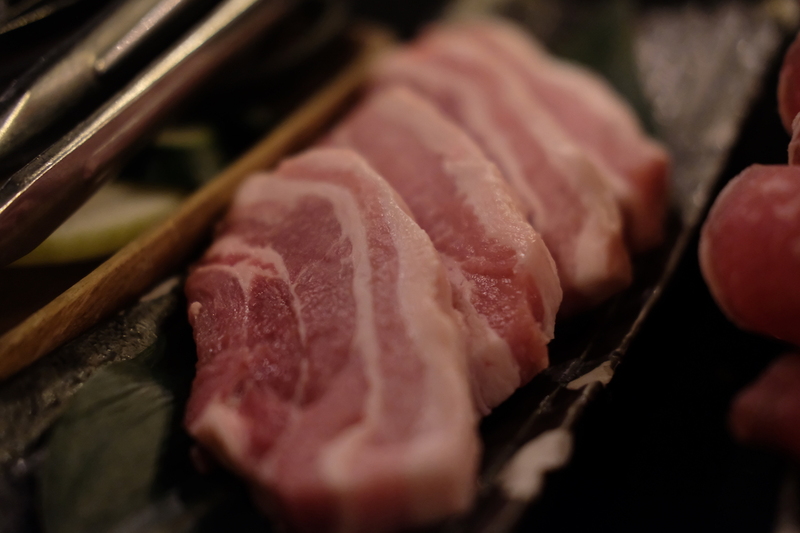 Of course, given that dining in a Korean Barbecue restaurant includes the thrill of grilling the meat yourself, we chose to go with the former. And by the end of the meal, we were absolutely satisfied. 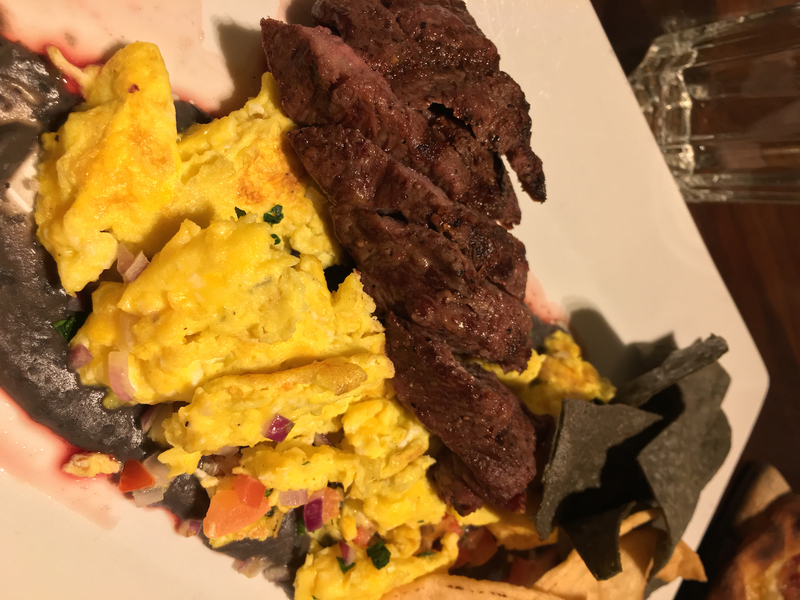 And surprisingly enough, when the bill came, it was at approximately US$65 for the three of us – costing us only about US$22 each, which is incredibly reasonable for US standards! Even better? The ambiance was fantastic and would be a great venue for dates or group gatherings. By the end of this trip, we were craving for grilled meat once more, and decided to take the metro from our hotel in the Upper West Side down to Times Square – all for the love of barbecue. 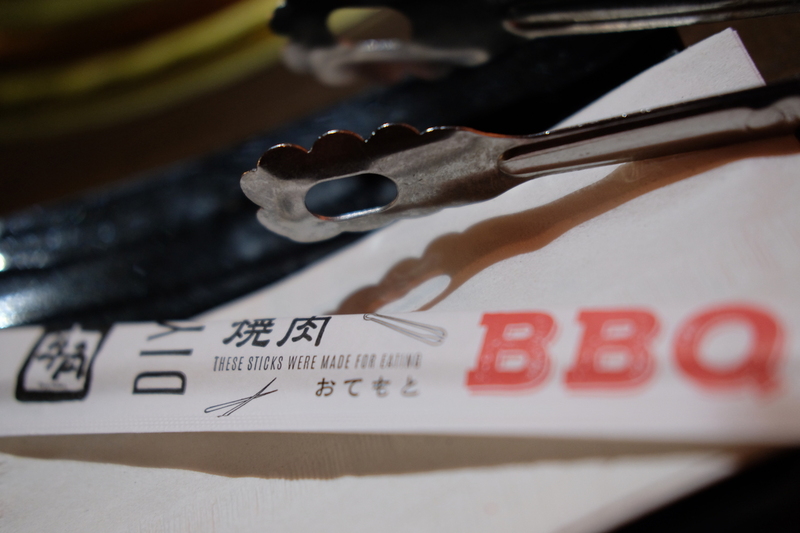 This time around, we tried Gyu-Kaku Japanese BBQ, which is a yakiniku chain of restaurants originating from the motherland: Japan. 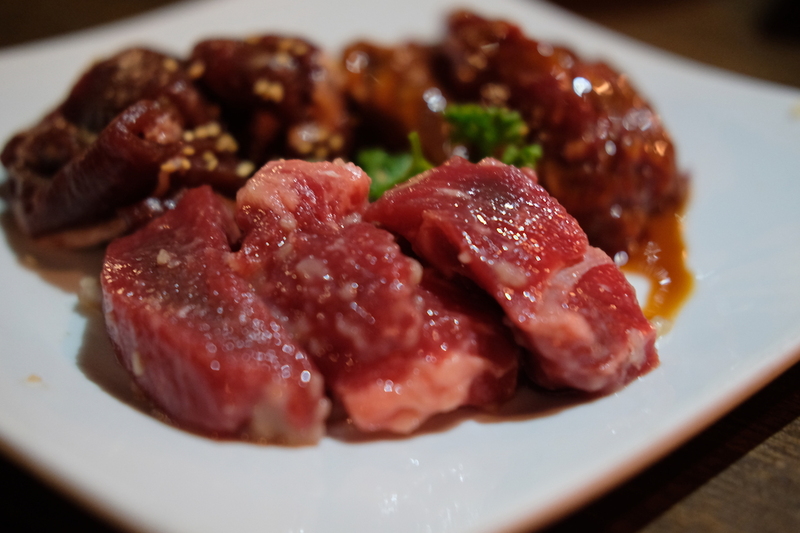 Great thing about this restaurant is that they have lunch combos that’ll allow you to try a variety of meats; and of course, everything we tried was absolutely delicious. Service was impeccable as well, with our Filipino server (always great to see fellow kababayans abroad) giving us complimentary s’mores for dessert! 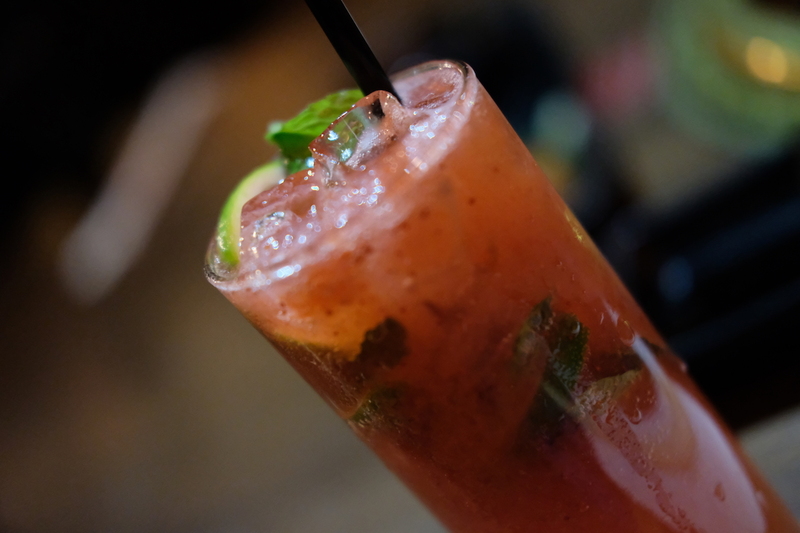 If you’re willing to splurge, go for their cocktails as well, which costs about US$10-12 per drink. 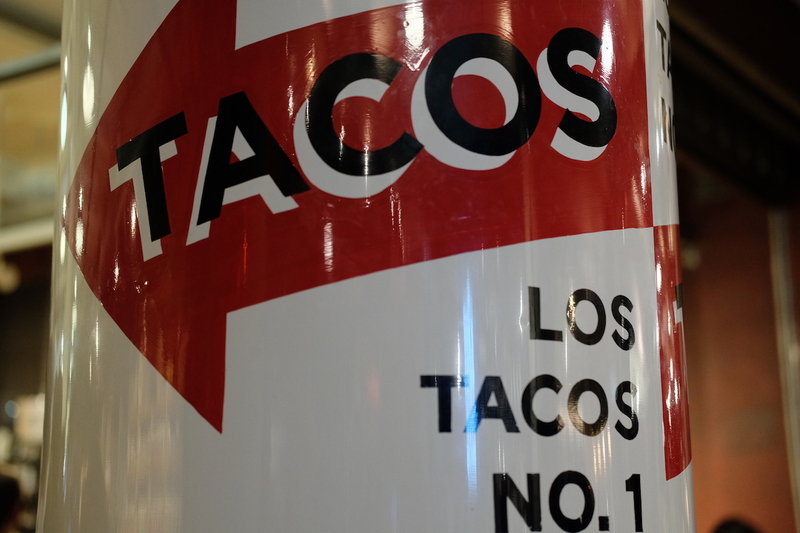 A hidden gem in the midst of the dynamic & vibrant Chelsea Market is Los Tacos No.1; though no longer technically “hidden,” as it has traversed by word-of-mouth through the years since it opened in 2013, and now with another branch open in Times Square and another opening in Tribeca this year. 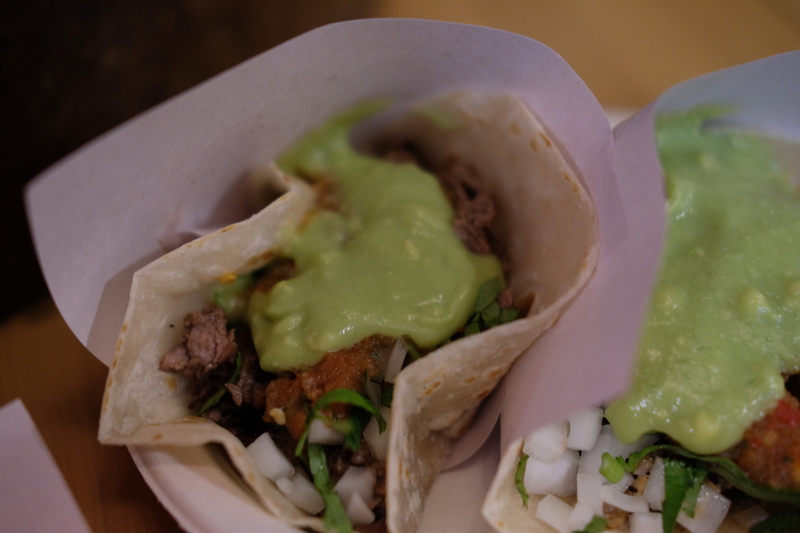 This establishment serves some of the most affordable dishes you can find in the city with their tacos and tostadas costing from US$3.75 a piece. 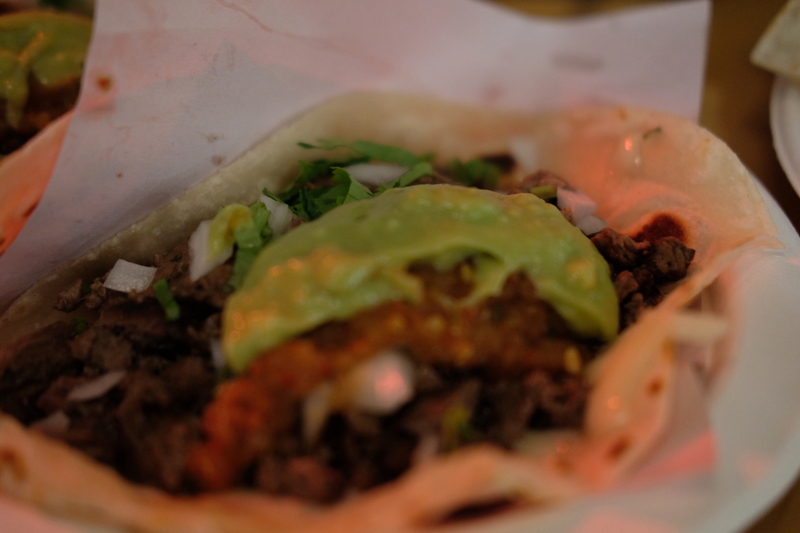 Two tacos will easily fill you up, and I’d recommend their Chips y Guacamole if you’re looking to add a side. 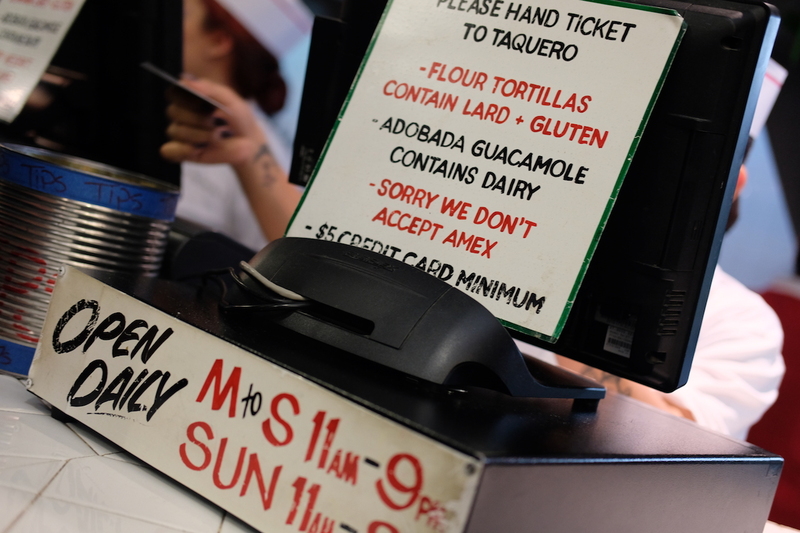 The line to get to the ordering counter of Los Tacos No.1 was insane, and it’s important to note that it is tucked at the end of Chelsea Market’s “food court” and has standing room only, so expect that this isn’t an option for a traditional sit-down dinner, but for a casual dining experience paired with top-rated tacos. I am telling you though, that this is worth the wait and the fact that you’ll have to stand while eating! Yet another New York institution we had unknowingly come across was Junior’s Cheesecake located in Times Square, right by Minskoff Theatre. Our friend had been craving for cheesecake and we simply googled ‘cheesecakes in NY,’ and despite a few others coming up first on the Google search list, we decided to look for the closest one within our vicinity. And thus, we were introduced to the cheesecake heaven that is Junior’s. Doubling as a restaurant, we were there for one thing and one thing only: their cheesecakes. 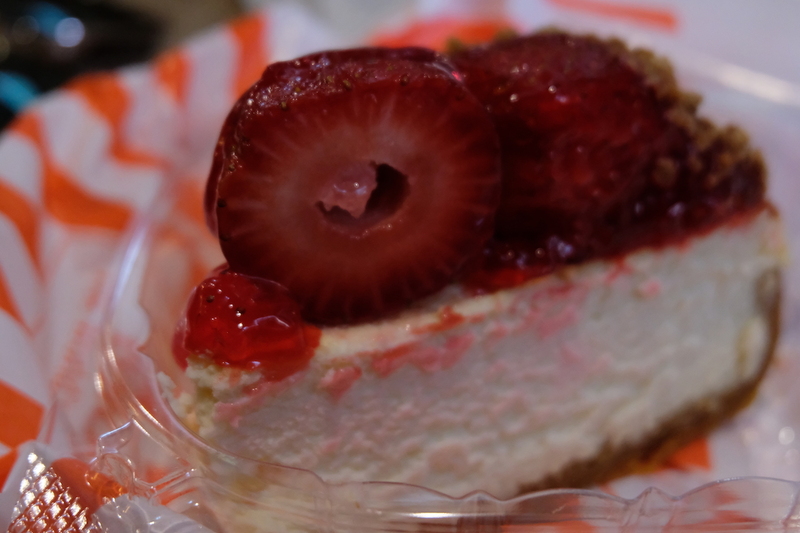 So when we saw the how insanely long the line was to dine in their restaurant, we decided to go next-door to Junior’s bakery to get a slice of their cheesecake to-go. And true to their slogan, Junior’s does serve the world’s most fabulous cheesecake title! I got the Our Famous No. 1 Original Cheesecake (US$7.50 / slice), and this is what I’d recommend to anyone, though the flavored ones (we tried Fresh Strawberry – depicted below – and the Apple Crumb Cheesecake) are to die for as well. So before you leave New York or if you’re just planning your trip, never make the mistake of missing out on the cheesecake institution that is Junior’s. 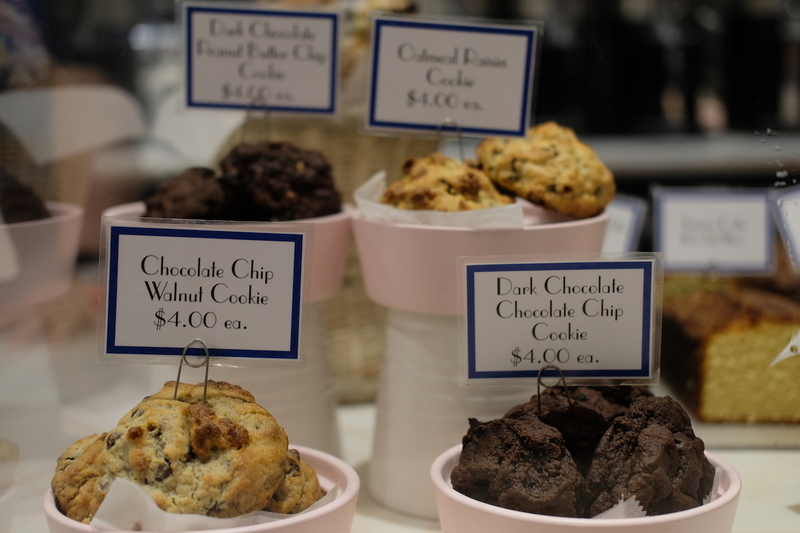 I first heard of Levain Bakery when it went viral, as Insider revealed it as the best cookie in all of New York. Click here to watch Insider’s video to see what enticed me to try this. So… Did it live up to the hype and my expectations? 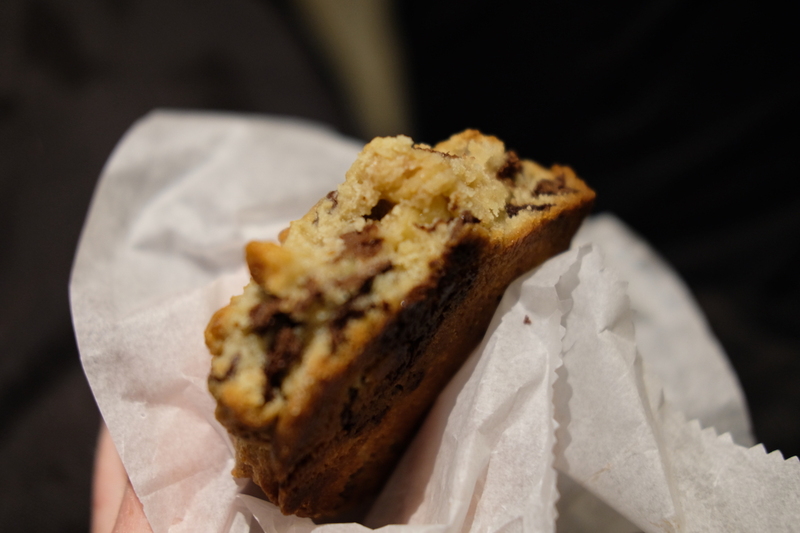 Let’s leave it at this: I’d certainly fly to New York and back just to get a piece once more. All their flavors are must-tries, but if you want to limit yourself to trying just two, I recommend: Chocolate Chip & Oatmeal Raisin. Lastly, aside from their branch on West 74th, they have two other branches in NY and another in Upstate NY, so you won’t have a reason to try what has been dubbed as the best cookie in the city (or in the world – at least in my opinion). To wrap up this list up, let me leave you readers with a few options for brunch and fine dining in New York as follows; two of which I tried during my first trip to New York, and one, just early last year. Sarabeth’s is a restaurant cafe with a few branches in the city that my cousin brought us to in 2010, and though we went back this year just for dessert, it’s great option for brunch if you’re up for it, a New York must-do while you’re in the city. 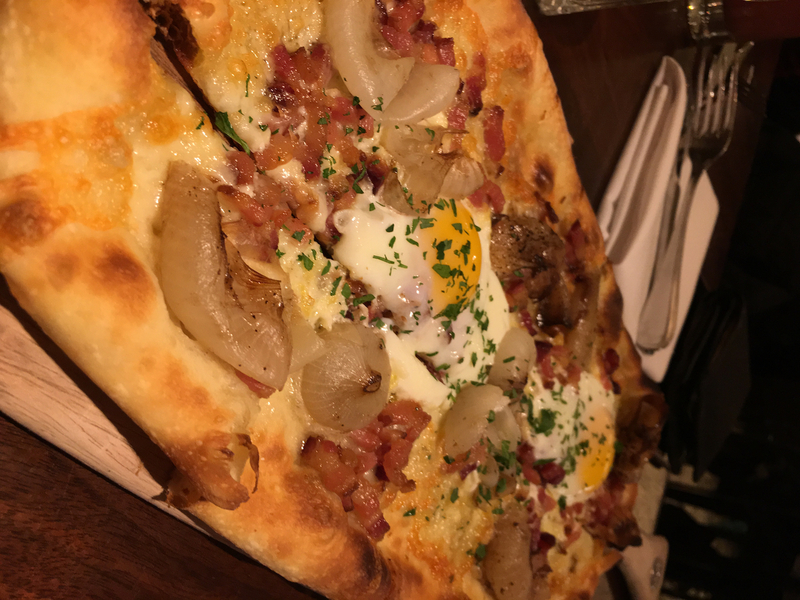 Todd English At The Plaza is another fantastic option for brunch too, which we fortunately got to try earlier this year. Aside from being housed in one of the world’s most beautiful hotels: The Plaza, their food is superb, making it a top-rated choice for Sunday brunch (or brunch in general), with some of their dishes pictured below. *The Modern is a non-tipping restaurant, so the amount above is all-in. 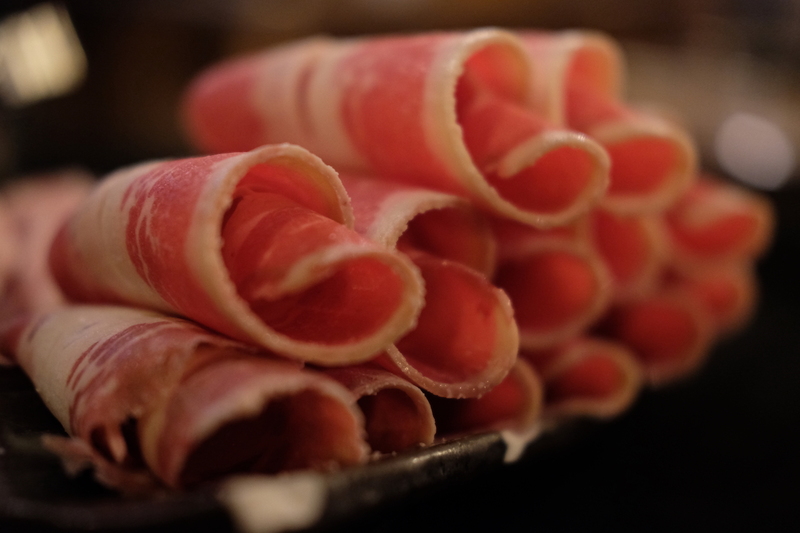 Ending this post, let me leave you with one of the best fine dining options in New York that we unfortunately didn’t get to go back to this year, which explains the absence of photos; but this is one restaurant I couldn’t leave off this list. The Modern is a fine dining restaurant located in the Museum of Modern Art, serving course menus with an overlooking view of MoMA’s Abby Aldrich Rockefeller Sculpture Garden through their floor to ceiling glass windows. Apparently, according to their website, they also offer “an à la carte menu in the lively Bar Room, and a bespoke tasting menu in the heart of the kitchen at the Kitchen Table.” This bustling Midtown restaurant was established in 2005 and has earned two Michelin stars since, with several other awards in tow as well, so try not to miss out this luxurious dining experience if you’re ever in the city that never sleeps! 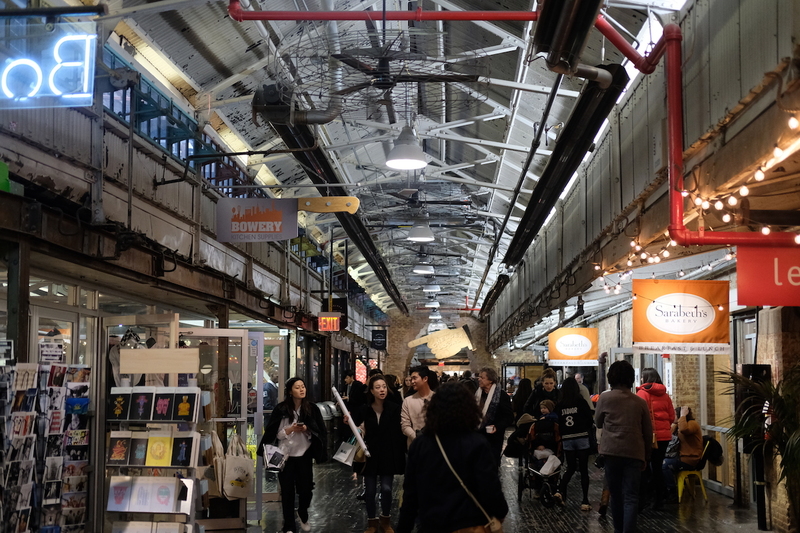 Evident in this post, New York surely is a dining mecca, offering any and all varieties; so if you’re headed to the Big Apple, ensure to bulk-up your food budget to guarantee that you don’t miss out on some of these top spots. And don’t get me wrong: this post barely even scratches the surface of what this city has to offer, so get ready for a food trip of a lifetime if you’re going to New York!